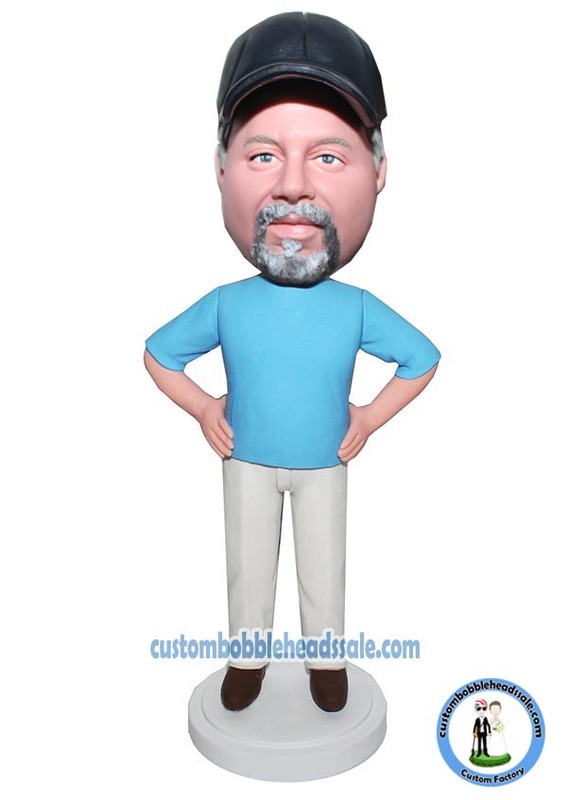 custom male bobblehead is standing upright with hands on waist. This customized bobblehead doll is worthy to ressemble to those you love. He maybe your father, husband, friends or your boss. For these people, this customized bobblehead is a perfect gift to make them laugh. Not only that, it could also be a souvenir that worth to be kept for a life time. If you want to change the color of the clothes, please leave the message,we can do this for your for free.